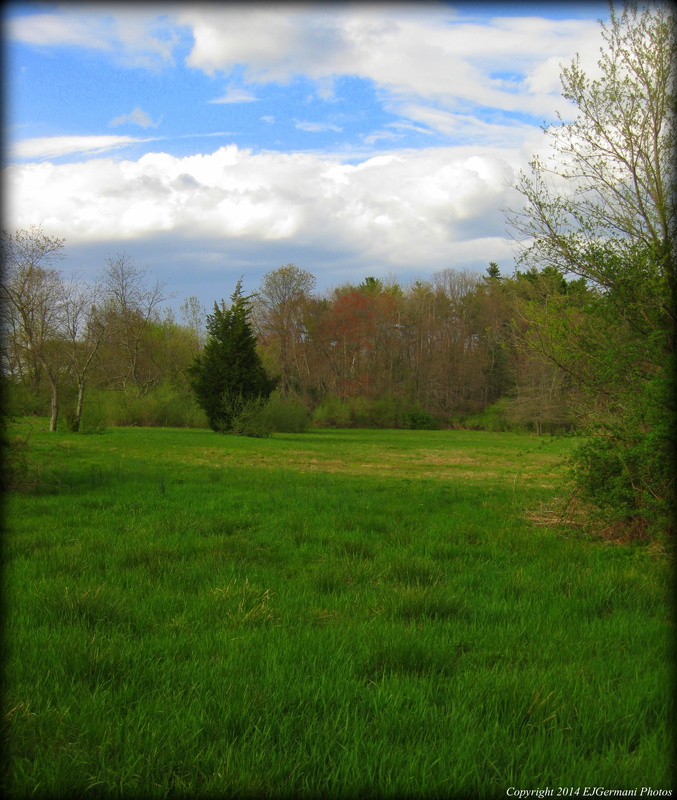 My second exploratory hike in Dighton this afternoon brought me to Sweet Knolls. It is a recent addition to the state park system in Massachusetts. The most difficult part of this hike is finding it. The trail starts at a driveway of what looks like a private residence. The address is 1387 Somerset Avenue. The only true indication that this is not private property is the state park sign in front of the sprawling yellow ranch house. From the driveway parking area I followed the trail downhill and it veered slightly left. After the former railroad crossing (if you notice it!) you have the option of going straight or right. I opted to go straight first following the mowed grass road to the rivers edge. Here there was a picnic table. I then followed the path in a northerly direction as it looped back to the main trail. From here I decided to explore the other trail, now to the left. It went straight for a bit then veered to the left after a stone wall and again I found myself near the rivers edge. I then retraced my steps back to the car. This area has been known to be used by Native Americans as several artifacts have been discovered nearby. Also, I came across what I believe were a pair of turkey vultures here. I did not find a trail map on-line. I decided to do some post-work exploratory hikes this afternoon in the Dighton area. I had not found much information on-line on the hikes in this area except for a couple newspaper articles. So off I went in exploration mode. The first hike in the area I attempted was Broad Cove. The trail which starts from a small parking area on Hart Street is the handy work of a Boy Scout Eagle Project. 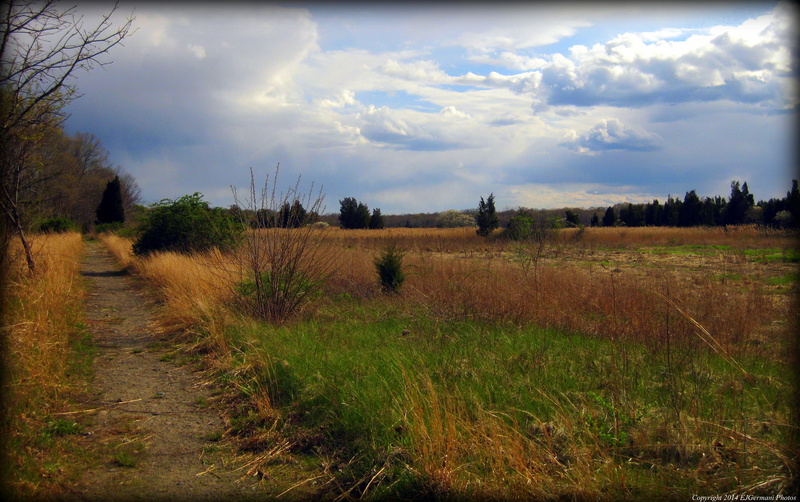 The trail follows an old railroad bed for a mile passing areas of farms and wetlands to the right and residences to the left. The trail is wide in most places switching back and forth from grass to dirt. The trail ends at a small peninsula overlooking Broad Cove. There are a couple benches here if you choose to linger. I then retraced my steps back to the car. I did come across several species of birds here including robins, red winged blackbirds, ducks, and geese.